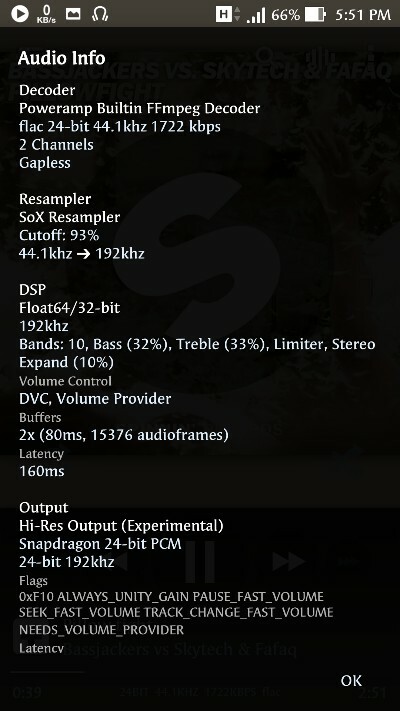 My high-res fails a lot when I skip songs, so I have to go in and uncheck the high-res option and recheck it, which worked fine with 703, but now with 704, the first try always fails and I get that error. The 2nd try seems to work. Give that a shot. Tried it same thing happens, keep failed. It works flawlessly on alpha 703. But since Android N doesn't support alpha 703 with high res audio, I tried upgrading to 704. Which has this issue. Back then with 703 build and Android Marshmallow its working fine. 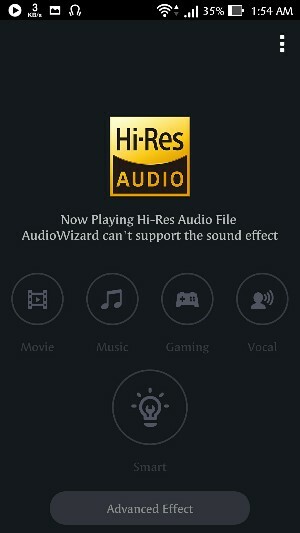 My hi res option disapeared after updatw to 7.0. Same thing happened to me since i upgraded to Android Nougat. 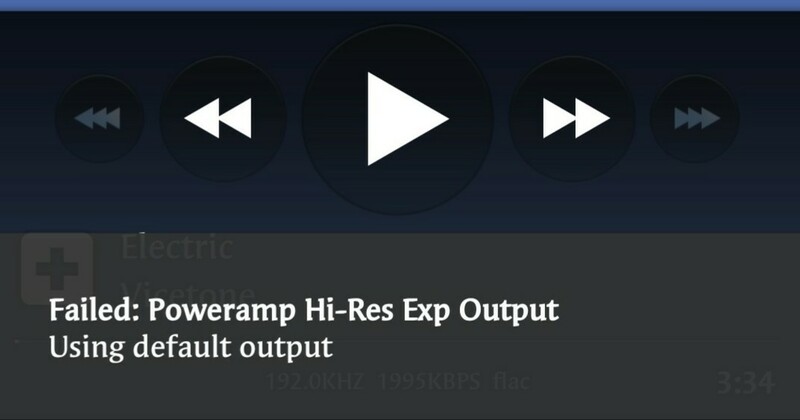 Try downloading the Poweramp alpha 704 the settings would appear there. But mine fails to output 24bit audio. Any news from the mods about this? Last time I checked with Max, he said the next beta-test release (due this month) will contain basically the same underlying audio code but with the new user-interface that he's been working on for a year. After that he will be looking to complete any debugging needed to get ready for an official release of v3, and I assume supporting newer devices and Nougat compatibility would be on that list. I believe this was before the Android Nougat update. I got both the audio_config policy on XML and conf files. Excited about the official release of the V3 with the new material design and new functions. 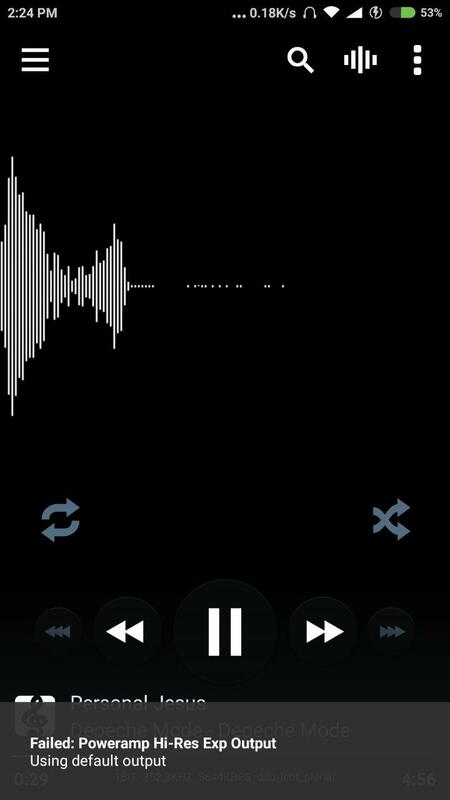 Here is a screenshot of working 24bit audio before the Android Nougat update. Hope max can fix this bug before the official release. Thanks. I downloaded 704 but still the problem persists. Well then we have to wait for them to fix Poweramp's comparability with Android Nougat. Hopefully this month we would get the Poweramp V3 official release. Hopefully this month we would get the Poweramp V3 official release. Well you can hope, but I certainly wouldn't bet the farm on it as they say. The next BETA test release (which will be for the new user interface, so probably won't have many other underlying code updates from the current alpha-test) is planned for later this month. Or it was last time I was updated anyway. Well yeah, on the bright side we would test the new user interface soon. 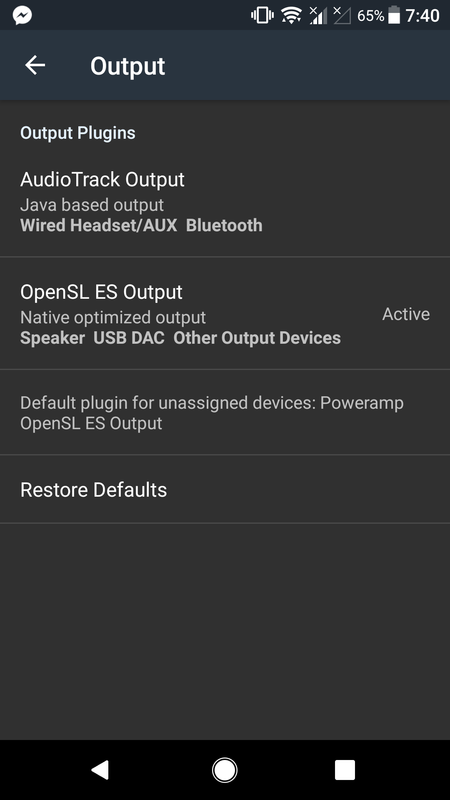 I wish max a good luck on working Poweramp's compatibility with Android 7.0 Nougat. In the meantime I'll enjoy listening to my favorite songs while you guys are at it. Thanks for the info Andre. ? Max has said that the next (beta) release will not include new features (apart from the completely rebuilt interface) but will include fixes and updates for new OS and device releases since the release of build 704. Yop. Exactly like mine. Z5 also. Wait for the update. Xiaomi Mi5, same problem after updated to Nougat and build 704. Was working properly on Marshmallow with build 703.